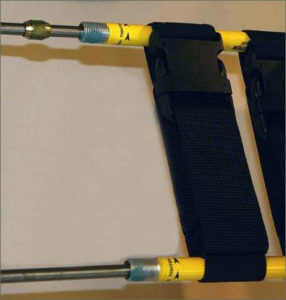 Remove upper Proximal Yellow Tube from Red Length Adjuster. 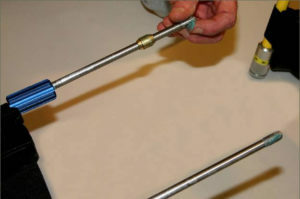 Apply a small amount of Marine Grade Grease to the rod tip end. Slide Yellow Proximal Tube back onto Proximal Rod. 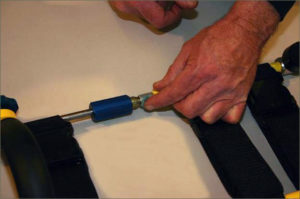 Apply small amount of Marine Grade Grease to the Yellow Proximal Tube threaded area. 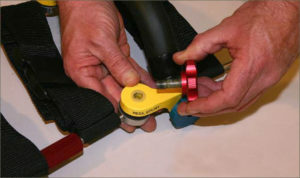 Rethread the Red Length Adjuster to the Yellow Proximal Tube threaded area. 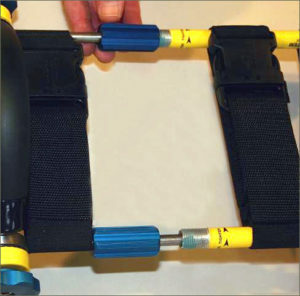 Disconnect both Distal Blue Length Adjusters from the Yellow Distal Tube threaded areas. Gently slide the Outer Yellow Distal tube segment from the Distal Inner Rod segment. 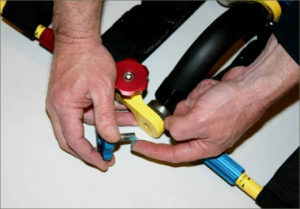 Apply a small amount of Marine Grade Grease to the Distal Inner Rod ends. Gently slide Yellow Distal Tube segment back onto Distal Rod segment. 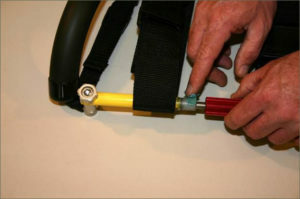 Apply a small amount of Marine Grade Grease to both Yellow Distal Tube threaded areas. Rethread both Blue Distal Length Adjusters onto its opposite Yellow Distal Tube member. Grease Blue Hinge knobs by unthreading the Knob from splints metallic threaded part located behind the Yellow Hinge. 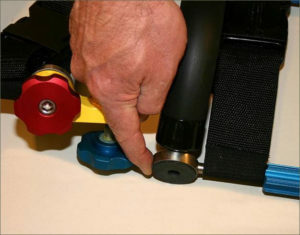 Apply a small amount of Marine Grade Grease to the Blue Hinge Knob threaded area. Distribute grease evenly about the threads. 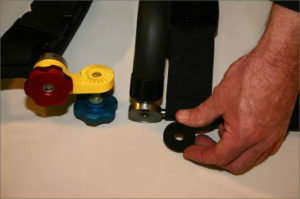 Retain Nylon washer in place. 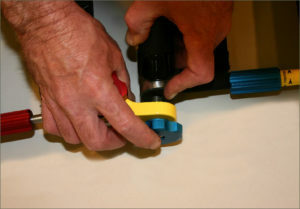 Re-thread Distal Blue Hinge Knob into threaded splint part behind Yellow Hinge. Repeat on opposite side of splint. Unthread Red Hinge Knob from metallic threaded splint part below Hinge Area Hold parts intact or together. Dab a small amount of Marine Grade Grease onto Red Hinge Knob threaded area. 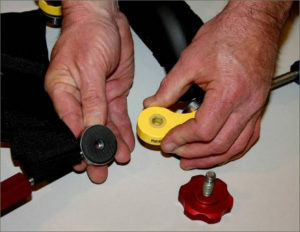 Rethread the Red Hinge Knob to the threaded splint part. 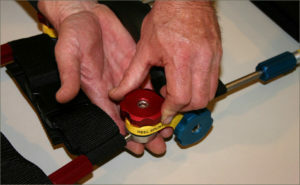 Retain the Nylon Washer in place. Rethread Red Hinge Knob with metallic splint threaded member. Repeat on opposite side of splint. Worn Pressure Gaskets are replaced by removing either Blue Hinge Knob and exposing the gasket contained in the recess of the metallic round part.. 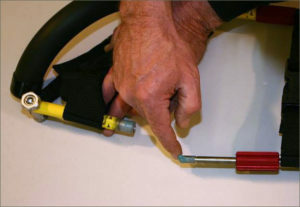 Pull the worn gasket out of the round metal part detent. Replace with new Pressure Gasket in the part detent and reassemble Hinge and Knob.